here’s to women at every age wearing bikinis, swimsuits or burkinis – in other words, whatever you damn well want to wear when you’re at the pool, on the beach or lounging about on holiday! I’d especially love to see lots of bikinis linked up simply because this is the one item that seems to touch a nerve with (some) journalists who insist that if you’re past the age of being able to have children then you really should put it away. And if you’ve actually had children, god forbid you even think about getting your body out on the beach at all. Aaaaargh let the madness stop!! The difference between a swimsuit and a bikini is roughly a few inches of fabric – and therefore a few inches more skin on show. If anyone has a problem with one and not the other, they need a serious reality check. And if a 22-year-old woman wants to cover up from head to toe on the beach, then that’s no one’s business but her own. If a 72 year old wants to wear a bikini, the same applies… It’s really that simple in the grand scheme of things. There are far more worse things in the world to worry about. THE DIFFERENCE BETWEEN A SWIMSUIT AND A BIKINI IS ROUGHLY A FEW INCHES OF FABRIC – AND THEREFORE A FEW INCHES MORE SKIN ON SHOW. IF ANYONE HAS A PROBLEM WITH ONE AND NOT THE OTHER, THEY NEED A SERIOUS REALITY CHECK. So now that I’ve got that off my chest 😉 I’ll mention my own beachwear outfit! I bought both the yellow bikini and the paisley beach jumpsuit last year for my holiday to Santorini – neither actually appeared on the blog in the end, but this weekend was so glorious they were put to use at long last once again in the garden. 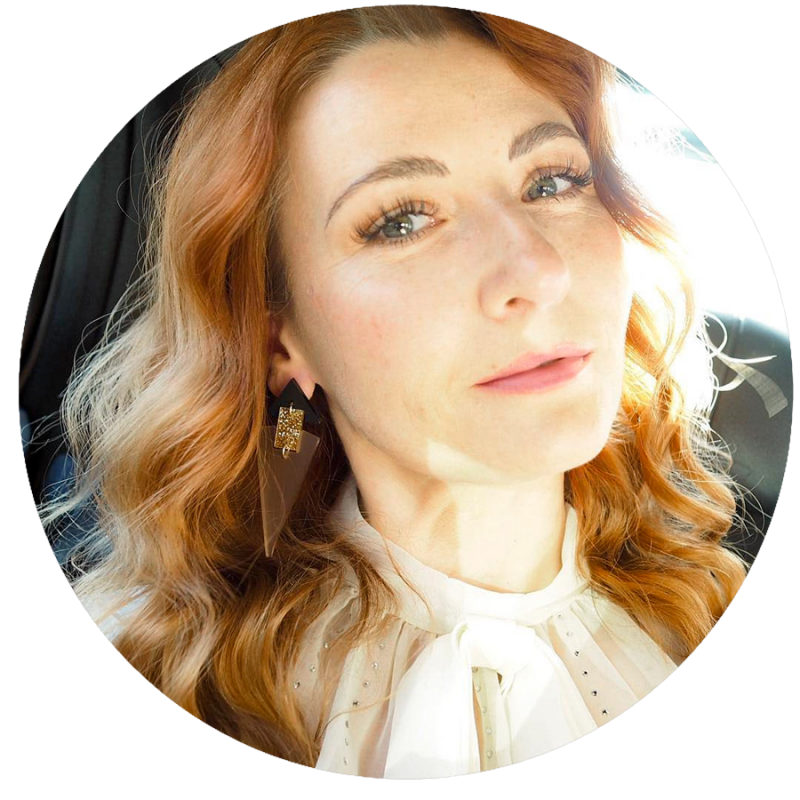 The jumpsuit is definitely a beachwear jumpsuit – it’s unfortunately a little too see-through to wear out and about, otherwise I think I’d be donning it with a t-shirt or tank underneath and rocking it down Sainsbury’s. I can’t see a time when I’ll no longer be wearing a bikini – but you can rest assured that if and when that time does come it’ll be my decision, and my decision alone…! 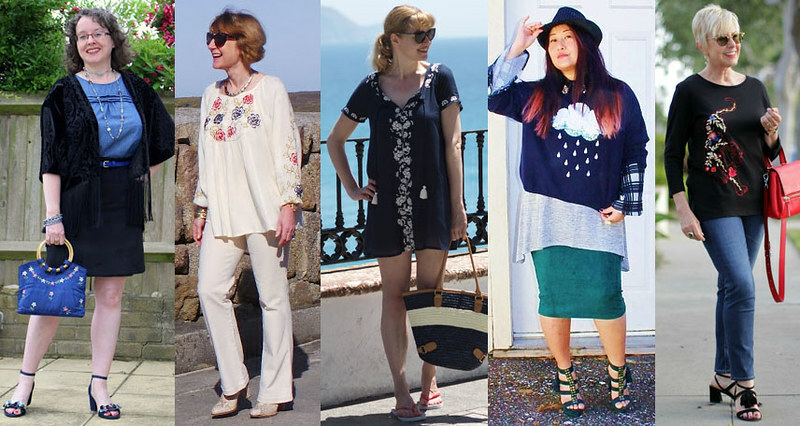 Pleeeeeease add ALL your outfits to this week’s link up (not just beachwear! )… as always you may be featured next week if you’ve linked up something in this week’s theme of beachwear, bikinis, swimsuits or swimwear. Don’t forget only blog posts that include a link back here or my button – or Instagram posts with the #iwillwearwhatilike hashtag – will be considered! ARE YOU WEARING WHAT YOU LIKE WHEN IT COMES TO BEACHWEAR OR SWIMWEAR? HAVE YOU STARTED WEARING A BIKINI DESPITE WORRYING ABOUT IT IN THE PAST? COMMENT BELOW, OR TAKE IT TO TWITTER @NOTLAMB! Above: My favourite shot from my poolside photo shoot on holiday in Santorini last year… Take me back now!! It's April, 2017 and I'm just now seeing this. Catherine, you look great in a bikini! I remember when a born-again Christian co-worker sent a You Tube video about why women should not wear bikinis to all of us ladies in the office. I never watched it or said anything to this born-again about it because I thought "We have so many problems in the world, but bikinis are not one of them. There are a lot more serious issues that we need to worry about!" Great jumpsuit, but this post would have been more powerful (and a lot less confusing) if you'd shown your bathing suit, instead of one carefully posed old photo of a completely different swim suit. New reader to your blog and very excited about what your doing! Just disappointed with this post. Hi Ebi, thanks for your comment but the point was to show that women can chose to COVER UP as well if they so wish (see the title), hence why I was wearing the beach jumpsuit. So I showed both sides of the argument by then showing the photo of me in my bikini on holiday last year. 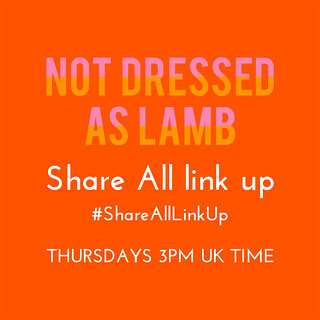 The idea of the Monday link up is about allowing women to show off what they've been wearing – and that is to wear WHATEVER they like – hence the hashtag #iwillwearwhatilike. That weekend I fancied wearing a beach jumpsuit because I was in my back garden and to be honest I didn't want to show all the neighbours my bikini, and that was my choice. It was a little different on holiday in Santorini because it's much more the sort of place where wearing a bikini by the pool is more common, and I was more comfortable in that environment to wear it without covering up. 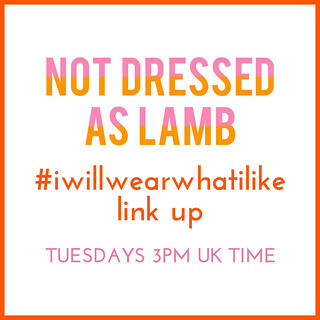 So there wasn't anything to be confused about – the post is about #iwillwearwhatilike and that was what I wanted to wear that weekend in the garden – so it doesn't get much more real than that I'm afraid! Unfortunately you will get more honesty in my posts about what I wear, I won't be setting things up just to prove a point as it seems you want me to do…! I missed the cover up part of the title! So thank you for bringing that to my attention. I did catch the hashtag, but I guess I did miss the point that sometimes swim (summer?) outfits are about covering up. I suppose I see so much of that in certain demographics that it never occurred to me anyone would actually want to do that. I almost hesitated in posting my comment but I'm glad I did because it's really cool you took it seriously (as intended). 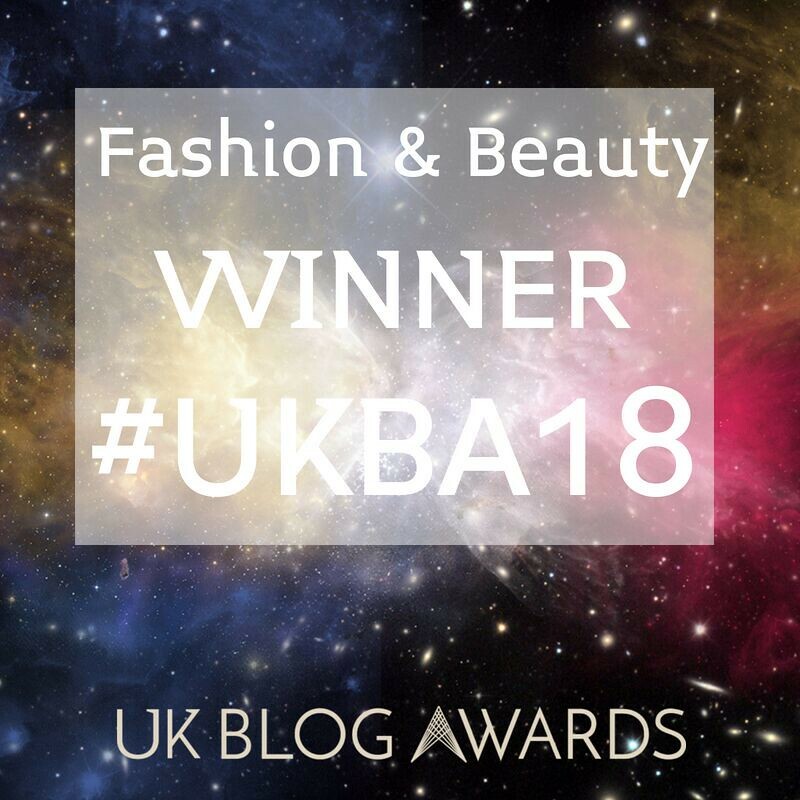 What you are doing with this blog is great, I follow other 40+ fashion bloggers because I like to see fashion happening on all ages and bodies. As mentioned, I am new to your blog, so I'll have to take some time to poke around and get familiar with your style. These photos are all SO GORGEOUS! The light, the composition, everything. You look stunning! More to the point, your sentiment is also gorgeous; I wish all women felt empowered to wear whatever they like and sod what anyone else thinks. It is ALL about confidence, isn't it? And you certainly don't have to be perfect to be confident. Great photo! And I love all the photos I'm seeing so far of the women who have linked up. We wear what we like yes. Too bad I'm not in my swimsuit – bad timing for photos. Thanks for hosting. YESSSSS! Thank you, thank you, thank you! Women should feel free to wear what they love at the beach, just like everywhere else. Especially in America people can be very conservative and judge mental. Loving your beach look, that jumpsuit is amazing! Well I'm a little late linking but what a lovely surprise to see my shot silk embroidered handbag in the Featured Favorites! Thank you so much. I would've looked to have linked a bikini shot but sadly being sooooo pale, in all my photos I'm either wearing a rash guard in or near the pool or covered in a kaftan! Darn my sun sensitive skin. As always, Catherine you look gorgeous and I couldn't agree with you more about it's up to us to decide what we wear, bikini or otherwise! Love this post and the message behind it. You look great in a bikini. I thought I would be brave and include a bikini photo of 62-year old me. Not such a perfect body as you, or Lizzy, or Michelle, or Nikki. But hey.. you have to give me points for daring. Massive brownie points, Greetje! Go you! Thank you. I've yet to blog about swimsuits, for so many reasons. I feel inspired! Thank you. And you look gorgeous. I still wear a bikini on holiday…I don't see why anyone, regardless of age, should feel compelled to cover up because of some silly rules made up by fashion "journalists". It's sad that we even have to have this debate when there are far more important things to worry about than 40+ midriffs, but such is this mad world of double standards we live in. Rant over. I love your pretty pink jumpsuit and floppy hat. Keep rocking that bikini! Such a great topic & so many beauties in their bathing suits – love it!!! I had just started reading your blog last year when you were on vacation in Santorini. Loved seeing your photos on IG! And I loved your bikini blog post. Yes, everyone should decided what to wear at the beach/pool, and it's no one else's business! I love your cover up! Great color & pattern! You can rock a bikini and cover up at any age for sure! Looking confident and beautiful. p/s and THANK YOU for featuring me!!! You've no idea how wide a grin is on my face right this very moment!!! I love your jumpsuit and the print is fun! I never wore a swim suit before! I have always been critical of my flaws and never felt comfortable in a bikini. Love your romper as a beach cover up. You look gorgeous in your beachwear! I still wear a bikini too. If they find it horrifying, then don't look, right?! And hey, we miss you at the Fun Fashion Friday link up party, Catherine! What a …. theme! Haha, but I done it! Fabulous! I say if you've got and you want to flaunt it, by all means flaunt it! I was never comfortable in a bikini even in my teens and twenties as a competitive swimmer with a body that I would love to have in my forties! But I suppose even if I had my twenty-something body, I just was never comfortable in a two piece swimsuit. But like you said, that's my choice! Fortunately, there are super adorable one piece swim suits out there! Great post Catherine! I think so many women get caught up in the idea of "rules" and really miss out on the fun! With my short torso, it is really a challenge to find a good one piece that is even comfortable for me, so it's always been a bikini. Every once in awhile the idea swarms into my head "should this be the year of the one-piece" and despite the fact I have had 2 children, I will be rocking a bikini till I just don't want to any more. I actually feel more confident in a bikini poolside because I am more comfortable. Whichever one chooses to wear – wear it with confidence. That "mommy tummy" of mine produced my two wonderfu children so I figure, why hide it? BTW you look FABULOUS in that bikini, and I love the jumpsuit! I think it's going to take awhile for many older women to realize the whole idea behind #iwillwearwhatilike. Maybe because a lot of them aren't online much. And as my mother says—it's been 70 years of hearing the "rules" over and over—it's hard to change on a dime! But I'm campaigning too—I just don't have a swimsuit to show—I stay out of the sun as much as possible now! But you go girl!! Preach it sister! Another topic I never understood what age has to do with it. Your body is amazing!